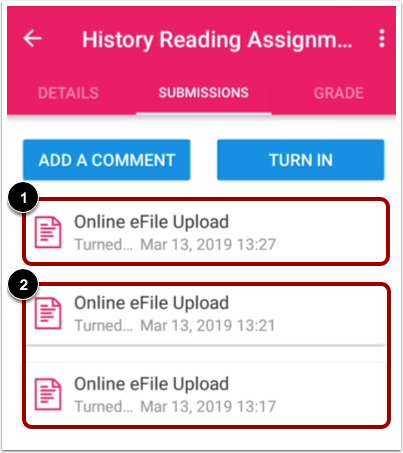 How do I verify my assignments were submitted in the Student app on my Android device? 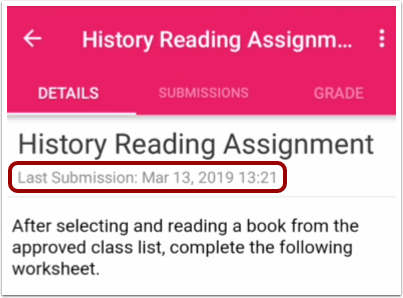 You can view your assignment type submission to verify it was submitted correctly. 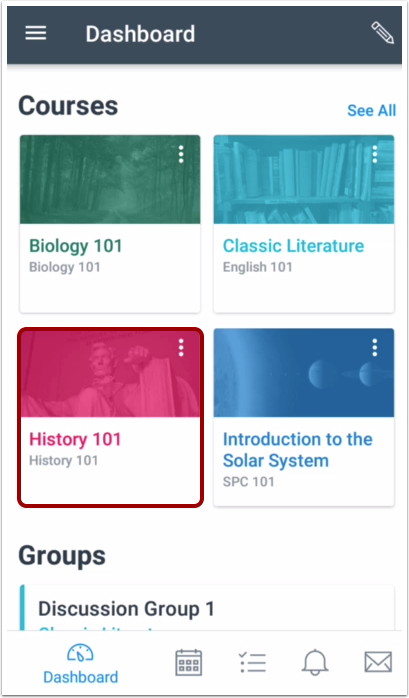 Note: You may need to swipe your screen to view Assignments in the menu. 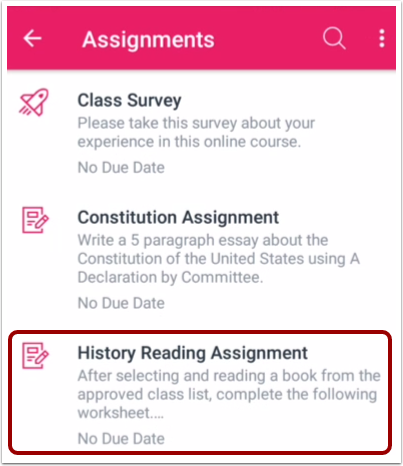 To view an assignment, tap the name of the assignment. View the last submission date in the Details tab. To view the submission, tap the Submissions tab. Your most recent submission will display at the top of the page . All previous submissions will also display below the most recent submission . If you haven't turned in an assignment submission, you can view a No Submission message  and the assignment due date . 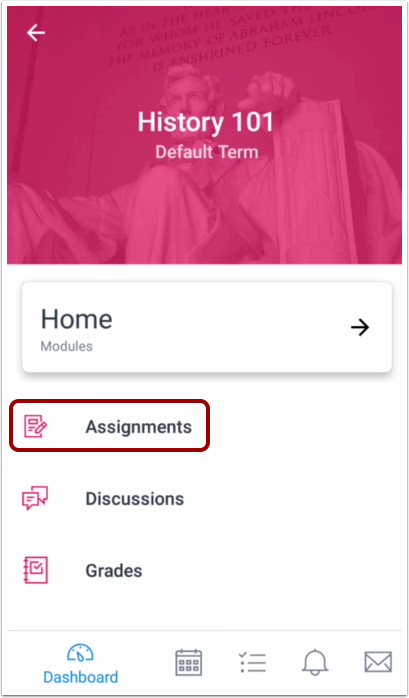 To turn in your assignment, tap the Turn In button . 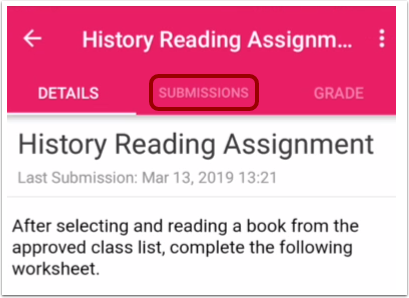 Previous Topic:How do I resubmit an assignment in the Student app on my Android device? 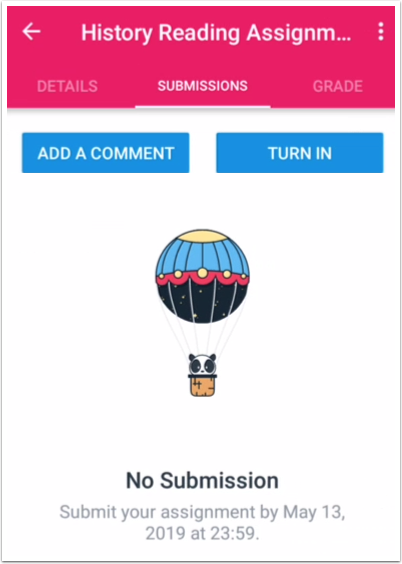 Next Topic:How do I make a comment about an assignment in the Student app on my Android device? Table of Contents > Course Features > How do I verify my assignments were submitted in the Student app on my Android device?